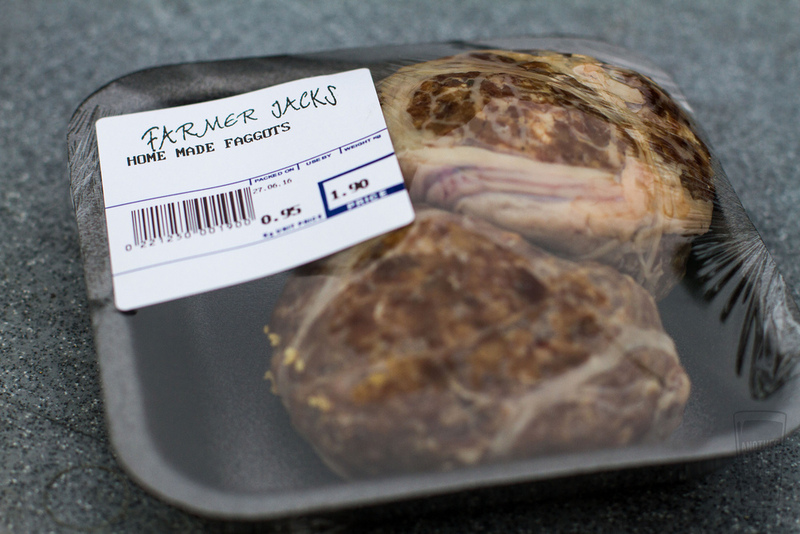 During our recent trip to England, I spent a good amount of time drooling over the meat counter at Farmer Jack's in Arreton. This small market was rife with local produce and an amazing selection of fresh meat. While the roast behind the counter was a natural choice, something else I had not seen before caught my eye. Wrapped in caul fat, the membrane lining covering the internal organs of a hog, they were roughly the size of meatballs. While they looked different, it was the name that threw me for a loop. While obviously a pejorative here, the name dates back to the mid-1800's and is an English term for un-cased sausages. Depending on where you are across England & the UK, they may be called Ducks, Savoury Ducks, or what I prefer, Welsh Style Meatballs. 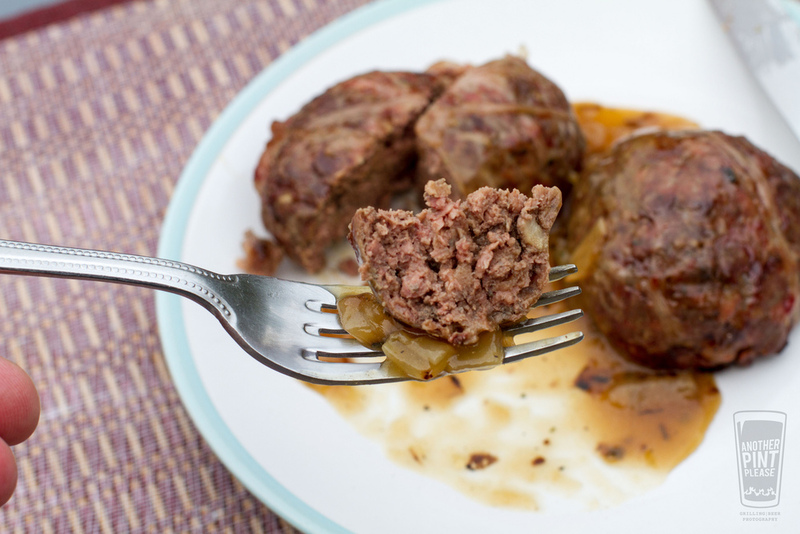 These meatballs were a cheap food composed of lesser cuts of meat like liver, heart, and bacon. Relatively lean, but full of flavor. The butcher gave them high marks and suggested I serve them with an onion gravy, a traditional accompaniment. While his cooking instructions were for the oven, I told him I was certain these were destined for the grill. 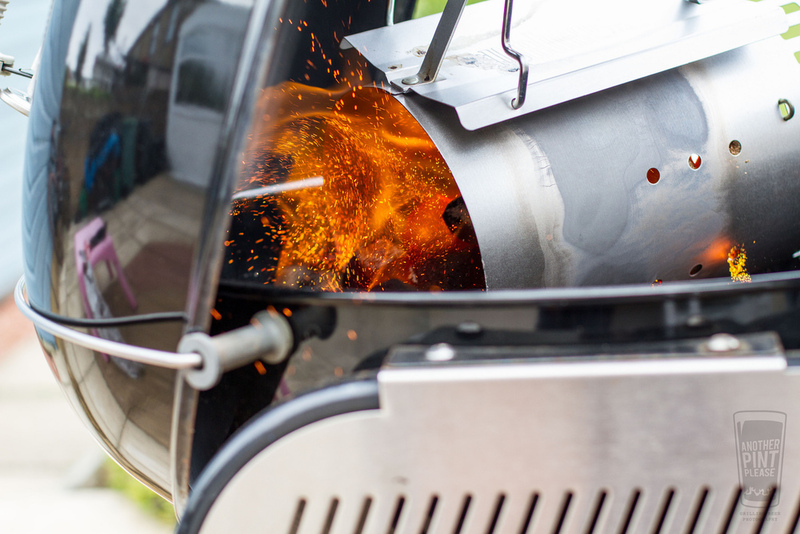 Not only was I itching to fire up my father-in-law's Performer, I was anxious to try the Weber branded charcoal briquettes that are available in Europe. I've heard great things about them, and they didn't disappoint. 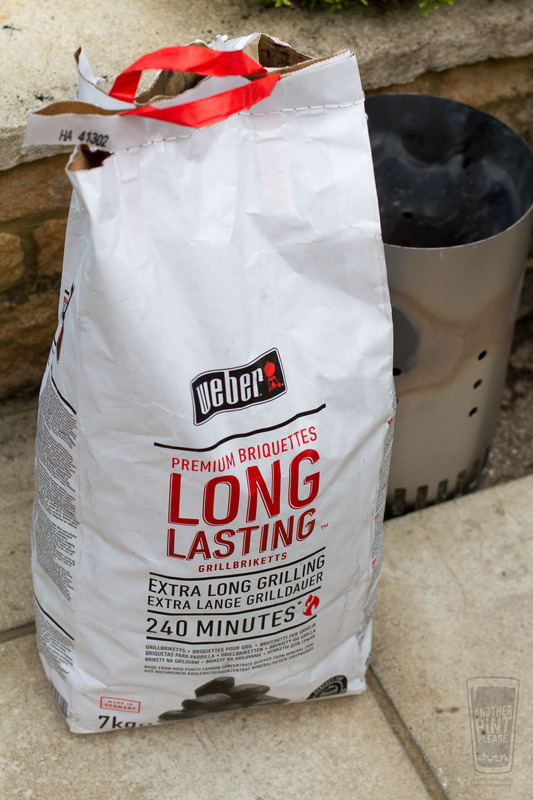 While my use of the "Premium Briquettes" were far from scientific, they were quick to light and held their heat well as I later found out on an overnight smoke. I grilled the meatballs over indirect medium heat (350 F) for about 20-25 minutes. As suggested, they were served with an onion gravy recipe sourced from BBC Food. While there was no denying the liver, it was far from overpowering. 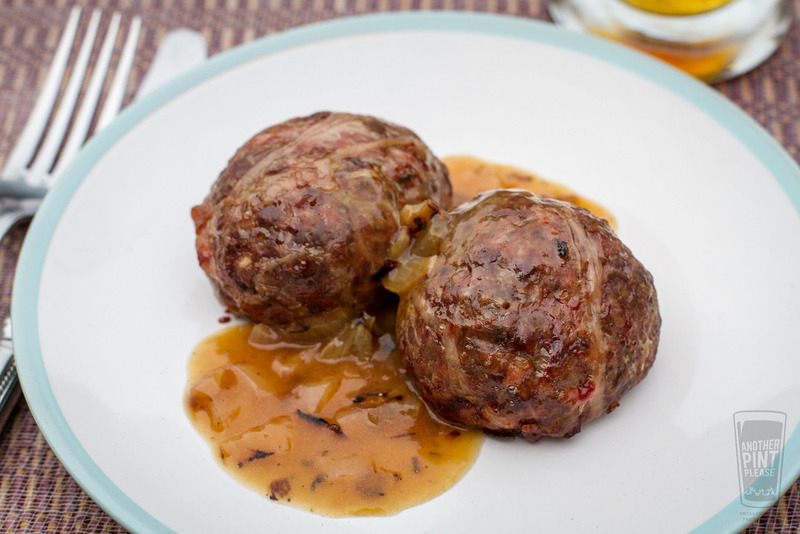 The mixture of meats provided an undeniable richness to the finished meatballs. I couldn't have hoped for a better appetizer, and if I had bought more, they would have made the perfect dinner. With, of course, a nice malty ale. I've yet to make my own, but if you are interested, I suggest this recipe from BBC Food. I've already added them to my to-do list. Once again, less is more. There is a reason these meatballs have survived so long. They are simply fantastic.